Visiting Bellevue Beach and Ekenas Archipelago National Park will get you outdoors. 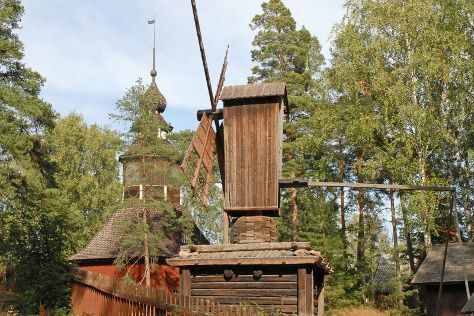 Get a sense of the local culture at Seurasaari Island and Open-Air Museum and Castle Hill. You'll find plenty of places to visit near Helsinki: Kotka (Linden Esplanade & Langinkoski Imperial Fishing Lodge Museum) and Nuuksio National Park (in Espoo). There's still lots to do: take a stroll through Katajanokka. To find more things to do, other places to visit, reviews, and other tourist information, use the Helsinki trip maker . If you are flying in from Hong Kong, the closest major airport is Helsinki Vantaa Airport. Expect a daytime high around 18°C in May, and nighttime lows around 7°C. Wrap up your sightseeing on the 23rd (Thu) to allow time to travel back home.